The chemical process industry is involved in many operations, for different types of fluids, with different applications. Though in principle, various guidelines and formulae are available for pipeline sizing for different services. Hence it becomes critical at times conceptualization is necessary before deciding design parameters. 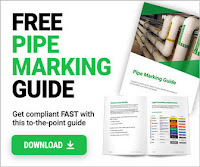 When fluids are to be carried from one place to another in household piping to cross country pipeline, piping and fitting constitutes a high cost. The size of piping plays an important role in the pumping cost. Hence the selection of the line size becomes important. Though in principle, various formulae are available for sizing for different services, conceptualisation is necessary before deciding parameters. For example, liquid feed is transported from its bulk storage area to day-storage using pump connecting bulk storage tank, pump and day storage tank with the necessary pipelines. It is very difficult to imagine a chemical process industry complex without any pipeline work. Rather one can see huge piping network within the complex. The design of any piping network involves various activities like the selection of piping material, specification with respect to thickness, pipe size, its routing, etc. This chapter deals with conceptual basis of pipeline sizing. Though various formulae and thumb rules are available in literature and can be used directly for sizing of pipelines, criticality with respect to experience in the fluid handling of related chemical process industry cannot be avoided. Over or under sizing of pipelines may even become a bottleneck for plant operations. For slurry applications, a larger size pipeline not only increases the plant cost but also creates operational problems. Likewise, the smaller pipe size may consume more energy for fluid movement. One should bear in mind that the larger pipeline size than necessary increases plant cost due to pipelines along with the connected valves, fittings, supporting structures, etc. Many factors should be kept in mind before sizing any pipeline. The basic principle of pipeline size is based on the available pressure drop between its two ends. Normally to maintain certain fluid velocity (may be from the available thumb rules), e.g. considering 1.5 metre / second for clear water at pump discharge for the maximum possible fluid flow rate through that pipeline, cross-sectional area (or diameter) of pipeline is calculated. Based on this, the nearest commercially available pipeline size (of inside diameter closely matching with the calculated value) is selected for application. With these preliminary calculations of pipeline sizing and pipe routing, pressure drop between start and end point, incorporating all fittings, is calculated. Decision of the selection of higher or lower pipeline size is made according to the available pressure drop versus calculated pressure drop. Normally pipelines are sized after optimising between the costs of material versus operating cost (incurred due to line pressure drop). Higher the pipeline diameter (i.e., higher initial investment), lower will be the pressure drop (thus less operating cost) and vice versa. Velocity norms are fixed for different applications, based on the optimum design conditions and pipeline sizes are only calculated using these norms. In some typical applications discussed here, these guidelines are not valid and one needs to understand the typical application and size the pipelines accordingly. Here typical applications are discussed for conceptualising pipeline sizing. Liquid flows under gravity due to the elevation difference between the start point (always at higher elevation) and the end point (at lower elevation), i.e. difference in potential energy. The elevation difference mainly governs the pipeline sizing. Additional effects of pressure conditions for start/end point matter in pipeline sizing. If the available elevation difference is higher, a high liquid velocity (i.e. with high allowable pressure drop) can be considered for pipeline sizing. Thus, a lower pipeline size can be selected for such a condition. In case, the end point is connected to a pressurized system, e.g. distillation column, the equivalent pressure shall be deducted from the available elevation difference and the effective available differential pressure is reduced. Thus even with the higher available elevation difference, for the end point of the pipeline connected to the pressurised system, the pipeline size will be of a lower size. Similarly if the start point of the pipeline is under vacuum, i.e. in barometric condensers, pipelines of high diameters are selected to reduce pipeline friction losses and thus increase the available differential pressure. Such applications are work-based on the available pressure drop. These cannot be sized only as per the economic pipeline size guidelines only, i.e. optimising material cost versus operating cost. Various problems are commonly observed in the process plants handling hot boiling liquids. These are mainly due to vaporisation of flowing hot liquid, i.e. the phase change of liquid to vapour, inside the pipeline or equipment. This phenomenon is also called the flashing of liquid. A typical example is centrifugal pump cavitation, which is due to low available NPSH (Net Positive Suction Head). The higher pipeline size is preferred to lower down pressure drop and thus to achieve higher available NPSH at pump suction port. Similarly in other pipelines, the pressure drop due to sudden change in the flow direction or the reduction of the line size, hot liquid vaporisation takes place which generates vapour bubbles inside the pipeline. Due to this more space is occupied by the mixture of generated vapours and flowing liquid and subsequently fluid flow is obstructed. Similar type of phenomena are observed in case of liquids carrying dissolved gases, which expand at higher temperatures. For these types of applications normally higher pipeline sizes are recommended. Equipment/instruments especially which create a high-pressure drop and are provided with a bypass line (to have the facility for maintaining process continuity even during maintenance work). i.e. plate heat exchangers, control valves, etc. are provided with a bypass arrangement, which normally has two isolation valves in line of the unit and a flow regulation valve in parallel to this unit. In normal operations, as fluid passes through the main units either the plate heat exchanger or control valve, it exerts an additional pressure drop. Accordingly the supply pressure for the fluid stream is estimated, which the connecting unit like the centrifugal pump creates. The centrifugal pump is selected based on this created pressure drop by the unit. During bypassing of the connected unit, this additional pressure is eliminated, while running pump discharges the high flow rate as per the typical pump characteristics. To avoid this situation, it is always recommended to use a lower size bypass line with a regulation valve to create pressure equivalent to the main connecting unit. Normally a small fluid quantity is collected for analysis to determine its composition. It is applicable for any stage of processing like for raw material, intermediate product, finished product or it may be even utility or effluent. Even for small quantity of sample collection, line size mainly depends upon the type of fluid being handled and the location of the sample point in the process. For example, for gases under pressurised conditions, small lines with valves (e.g. 6 mm) are sufficient for withdrawing the representative sample quantity. Providing a high sample line size will not only be difficult to control but higher wastage of gases during sample collection cannot be avoided. On the other hand, small sample line will create trouble for slurries where solid particles may choke the sample line quite frequently. Thus, irrespective of material losses and the cost of the pipeline and valve, the sample line size is dependent upon the solid particle size and the characteristics of the slurry. Similar are the experiences for viscous liquids. • Location of sample point, etc. Cooling water, in the cooling tower, is exposed to sunlight that helps in the development of algae formation. This generated algae material goes to the circulating cooling water. At a lower liquid velocity in the pipelines, algae starts growing within the pipeline and after some time, they start blocking cooling water circulation or it passes to the connected heat exchanger unit. Thus, a higher liquid velocity (e.g. 1.8 -2.5 metre/second) for circulation line is recommended to avoid algae development within the pipeline. Normally higher cooling water circulation flow rates are encountered in the chemical process industries that require large size pipelines with longer lengths to cover various heat exchanging units. Thus, to reduce the cost of pipe material even with high power consumption (due to increased pressure drop) will be an appropriate choice. In all the above-mentioned cases, overflow line is sized for the maximum possible input liquid flow rate to the tank irrespective of the outlet liquid flow rate. Other design guidelines are similar to the pipeline sizing for gravity liquid flow, i.e. as per the availability of vertical available height between the highest and end points (where it comes in contact with the atmosphere) of the overflow pipeline. Here the highest point which is also the start point of the liquid flow line is located almost at the top of the tank (overflow nozzle of the tank), while the endpoint may be somewhere near the drain gutter (close to ground). This may not always be true, as the overflow line may also be terminated at the higher elevation floor. In that case the available differential head will be lower. Hence as per the pipeline location, the overflow line shall be sized, based on the gravity flow principle. Slurries, mixtures of suspended solids in liquids, are kept in agitated conditions to maintain homogeneity, other wise, depending upon the solid's characteristics, lighter or heavier than liquid, particles float or settle down respectively. Agitated conditions are maintained in equipment, like tanks by the use of agitators or gases sparing. While in the pipelines it is achieved by maintaining turbulent fluid flow conditions. At a lower fluid velocity in the pipeline, solids have a tendency to separate out from the liquid phase. Thus sufficiently high fluid velocity shall be maintained in the pipelines, irrespective of encountering a high-pressure drop in the pipelines for slurries (beyond the guidelines for optimum pipeline sizing for clear liquids). On the other hand, for very small pipeline size for slurries, its choking is quite frequently observed in plants. Thus, a small pipeline size is also not recommended for these applications. Apart from this, some slurry containing abrasive solid particles may cause pipeline erosion at very high fluid velocities. Hence, high fluid velocities are not recommended. Various slurries behave in different fashions at different fluid velocities, hence pipeline size is more critical. Along with the basic design guidelines, past experience to understand slurry behaviour shall also be used during pipeline sizing. Apart from above discussion, many other applications can be seen in any chemical process industry. i.e. very low fluid velocities are considered for designing pipelines carrying highly viscous liquids, storage tank vent lines (depending upon the tank design pressure), tank drain lines (related with the vent line size as well as the time required for the draining out tank), etc. I really admired your efforts in providing valuable information regarding pipeline topic. Can you kindly feature "Design of Multiphase Pipeline and proper sizing, selection and specifying of multiphase pump" in the future? Thanking you in advance Ankit, truly, I am.